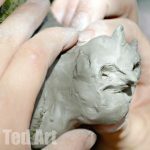 It has been a while since I have posted a “daily creativity” project – we do a lot and I forget to write about it. 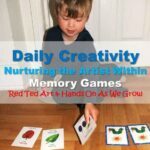 They idea behind “daily creativity”, is doing simple creative projects on a regular basis. Sometimes suggested or set up by you the parent/ carer, other times letting your child lead the way. 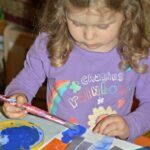 Giving them the chance to explore different mediums or to practice some skills that can help them in their creative projects (e.g. 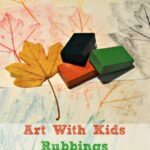 leaf rubbings, exploring watercolours, printing, pastels, pencils, cutting practice, creating sculptures etc) and just have some creative fun. 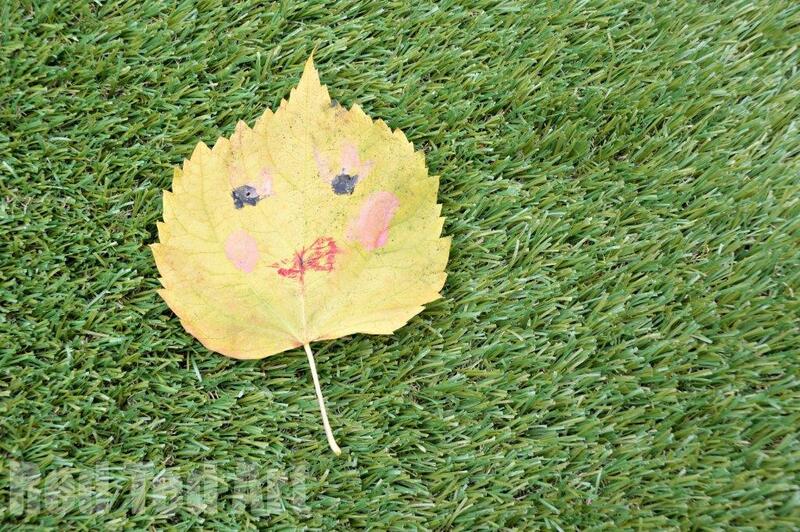 Today, I wanted to share some adorable “Leaf Faces” that the kids created themselves. We are just coming to the end of our long Summer holidays and there have been periods, where the children have had to entertain themselves whilst I work. 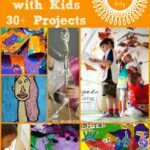 I think “self directed entertainment” is key to children’s creativity. Having a few days here and there, with no structured activity or “play dates”. 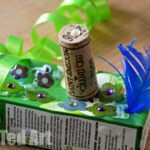 It is in these periods that, yes they fight…, but also they come up with wonderful games, roll play and sometimes their very own creative projects. On this occasion, the children were “playing” with facepaints. They had tired of painting their own faces… went into the garden, collected a leaf… and drew a face (can you see the eye lashes and the pink cheeks? Pip Squeak’s (3.5yrs) creation). They were so pleased, that they went on to created another 20 or so of these! LOTS. With all sorts of different faces and patterns and expressions. Wonderful. (It was tricky to photograph them all, as they were arranged in patterns on the dining room floor (which is very dark and hard to “capture” – sorry!). I love that they explored and tried out what “pens” would work well on the leaf. Face paints clearly work VERY well. I can imagine marker pens working too or children’s paints. These are “temporary art projects” and we didn’t keep them. But it kept the children busy and happy for a good 1-2 hours! 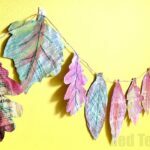 And I loved seeing what they made and hearing the stories that went with each leaf face character. 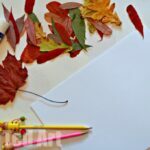 A great simple art project for Fall/ Autumn.